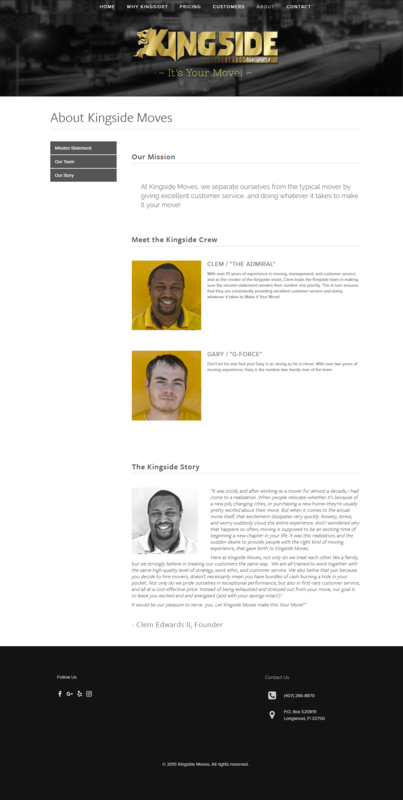 Kingside Moves is a local moving company in Orlando, FL with a small team that stresses high-quality performance and excellent customer service at competitive prices. After using them for a move of my own, I reached out to the owner to see if he needed a website, which he was more than happy to talk about. 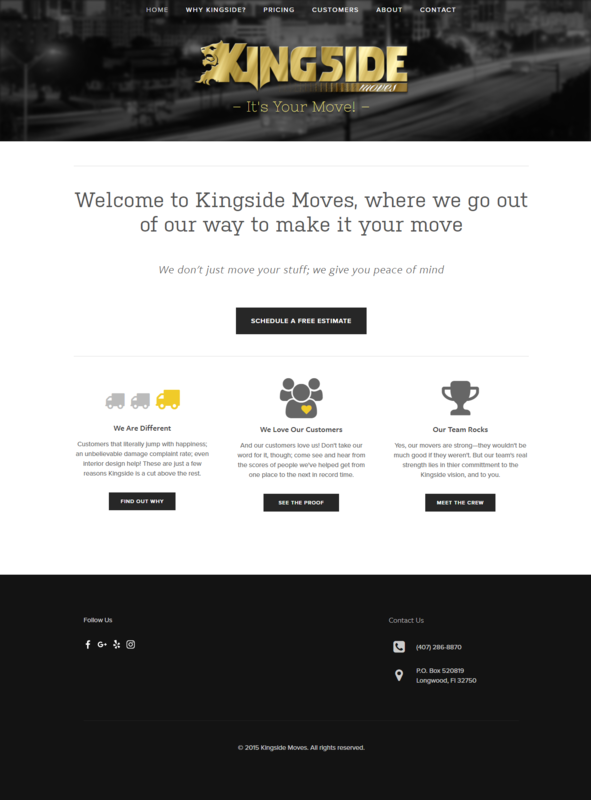 Built on the Squarespace platform, kingsidemovesorlando.com was designed almost completely from the ground up, and much of the project focused on designing the content itself to send the best message to potential customers about how Kingside Moves works. 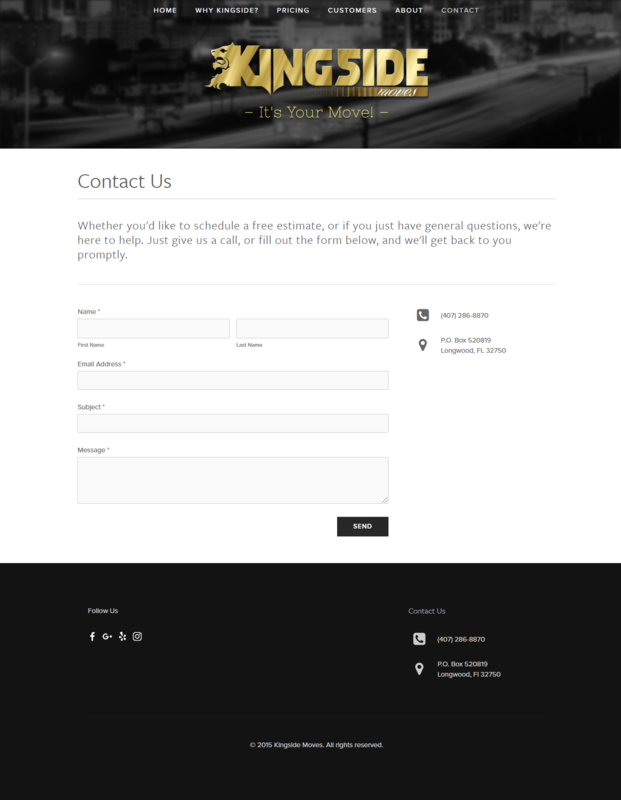 In addition to that, I also provided custom graphic design, custom CSS styling, and photography.